If you want to become a good investor then you have to learn about investing. 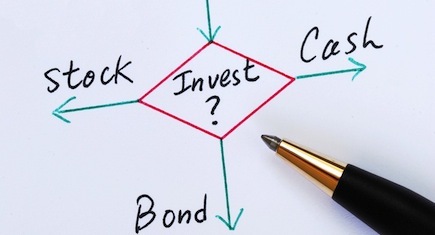 There are many ways to invest your money and some of them are much high-paying then others. It is possible one can spend his whole life in learning about investing but still left out many techniques about investment. This is reason I recommend everyone to follow professional investors and learn from them. Many professional investors as well as financial advisors post about investment in their blogs and you can also follow them in Twitter as well. This way you can learn quickly about investment and invest your money in smart way. In this post, I have listed out some professional investors and financial experts that I am following them in Twitter and using their techniques to invest my money wisely. If you also want to learn about investing then you can also follow them and read their blogs daily. However, some of them are not professional investors but they share their knowledge and experience that comes very handy. Joe Udo is one of my favorite financial experts who blogs at Retire by 40. It was his dream to retire by 40 which he has achieved and now helping many to invest their money smartly and get maximum return after their retirement. Although his every post is not about financial related but around 60-70% posts talks about investment. Josh is very active on his blog (and also on his Twitter account) in which he provide his market analysis and pretty much anything that comes in his mind. Josh Brown is professional investor and he has been featured by almost every major financial news channel and magazine. Larry Ludwig is sharing some wonderful investment tips since many years in his blog 'Investor Junkie'. Larry Ludwig is NOT a professional investor instead he is the owner of small business and investment is his passion. He focuses a lot on investment in his blog and teaches how to take your investment to the next level. Ben Reynolds is one of the financial expert that I rate very highly. The great thing is, Ben Reynolds blog 'Sure Dividend' focus mainly on dividend paying stocks. If you want to invest your money in dividend paying stocks then you should follow Ben Reynolds. He is really an expert when it comes to investing money in Dividend paying stocks. The great thing I like about Ben Carlson is he defines a much complex financial term into a lot easy way. Instead of using technical terms, he uses real life examples that deliver the message with such ease. There are many more investors that provide great investment guidelines but I normally follow those bloggers who 50-80% of time write about investment. If you know any other great financial experts then do let us know in the comment box below. Underground Fat Loss Manual Review - Is Matt Marshall Scam? Fat Decimator System Review - Does it Worth the Price? How Green Tea Extract Get Rid Of Fibroids? What You Will Find Inside Love Commands Book? What is His Secret Obsession? Does It Really Work?